Lee's monthly newsletter was published today. His newsletters are free and sent out once a month. FIREBALL, a J.T. Ryan Thriller, was featured in the December 2018 issue of The Big Thrill, the magazine of the International Thriller Writers Association. He's also interviewed in the magazine. FIREBALL, a J.T. Ryan Thriller, was published by River Ridge Press in August of 2018. This is Lee's 14th novel. You can check out this page-turning mystery thriller at Amazon and many other bookstores. In paperback, Kindle, and other ebook formats. Lee's 14 novel, FIREBALL, will be published soon by River Ridge Press. FIREBALL is a J.T. Ryan Thriller, featuring several of Lee's series characters: John (J.T.) Ryan, former Special Forces soldier turned private investigator; FBI agent Erin Welch; and CIA operative Rachel West. The three team up once again to solve the mystery of Fireball. This page-turning thriller will be available in paperback, Kindle, and all other ebook formats. At Amazon and many other bookstores, in the U.S. and Internationally. Titled "The mystery of the dead reporters", Lee's monthly newsletter was published today. His newsletters are free and sent out once a month. FBI CODE RED earned Lee a nomination for the 2018 Georgia Author of the Year Award. 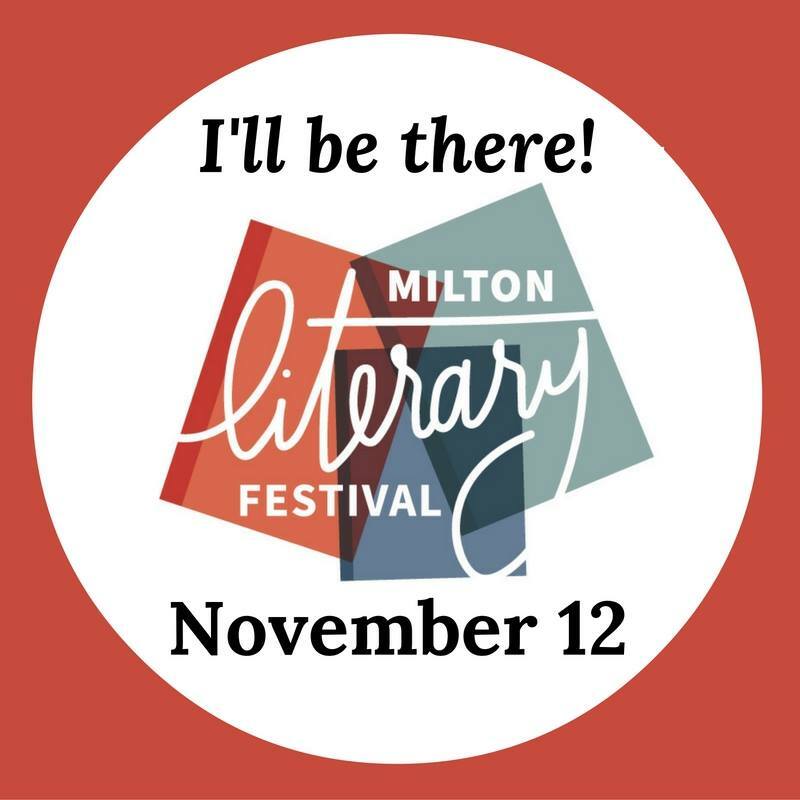 Lee moderated the Mystery/Suspense Authors Panel on Saturday, November 11, at the 2017 Milton Literary Festival. With him on the panel were award-winning and best-selling authors Buzz Bernard, Trudy Nan Boyce, and Susan Boyer. They discussed how to create page-turning, thrill rides of mystery and suspense. FBI CODE RED, a J.T. Ryan Thriller, was published by River Ridge Press in September of 2017. This is Lee's 13th novel. You can check out this page-turning mystery at Amazon and many other bookstores. In paperback, Kindle, and other ebook formats. Lee Gimenez was on the Faculty at the 2017 Southeastern Writers Association workshop. The 5 day workshop was held on June 16-20, in scenic St. Simons Island, Georgia. Also on the faculty were best-selling authors Reed Farrel Coleman, Debra Dixon, Lee Clevenger, Sheree Bykofsky, Ron Houchin, Dr. Dennis Hensley, and Gail Langer Karwoski. If you are a writer and want to improve your skills, check out the details of this prestigious event in 2018. The topics covered during the 2017 workshop included Novels, Marketing, Non-fiction, Publishing, Mystery/Thrillers, Agent, and Young Adult writing. Lee's novel, The MEDIA MURDERS, was nominated for the 2017 Georgia Author of the Year Award. He's honored to be nominated for this prestigious award and thanks the Georgia Writers Association for the nomination. Lee Gimenez will be on the Faculty at the 2017 Southeastern Writers Association workshop. The 5 day workshop is being held on June 16-20, in scenic St. Simons Island, Georgia. Also on the faculty will be well-known authors Reed Farrel Coleman, Debra Dixon, Lee Clevenger, Sheree Bykofsky, Ron Houchin, Dr. Dennis Hensley, and Gail Langer Karwoski. If you are a writer and want to improve your skills, check out the details of this prestigious event, which are listed in the website below. The topics covered during the workshop include Novel, Marketing, Non-fiction, Publishing, Mystery/Thriller, Agent, and Young Adult writing. Lee was one of the Presenting Authors at the 2016 Milton Literary Festival, which is held annually in Milton, Georgia. He moderated the Suspense Author's panel on November 12, 2016. Lee signed his books after the panel disscusion. 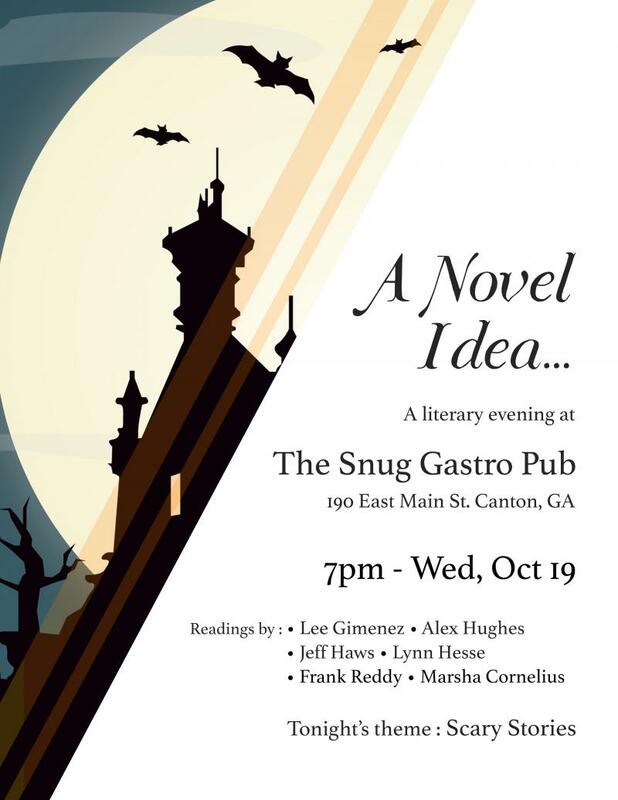 This literary festival is one of the largest book events in the Georgia area. Lee read and signed and his books at the "A Novel Idea" Author Event, which was held in Canton, Georgia on October 19, 2016. The details are on the poster shown below. The event was free and open to the public. Lee's 12th book, The Media Murders, became a Featured Novel of the International Thriller Writers organization. The ITW is the premier association for authors of thrillers and mysteries worldwide. Lee's 12th novel, The Media Murders, was published by River Ridge Press in July 2016. It's now available at Amazon, Barnes & Noble, and many other bookstores in the U.S. and Internationally. Lee's short story "The Perfect Candidate" was a Finalist in the 2016 Terry Kay Prize for Fiction. This prestigious award is presented by the Atlanta Writers organization. It's named for Terry Kay, the renowned novelist whose books have been produced into Hallmark movies. Look for "The Perfect Candidate" to appear in Lee's short story collection, which will be published in 2017. Lee is pleased to announce that his 12th novel, a new J.T. Ryan Thriller, will be published by River Ridge Press in 2016. FBI Assistant Director Erin Welch and John Ryan team up once again to solve a new deadly mystery. In the meantime, check out his other eleven thrillers, at Amazon, Barnes & Noble, and many other retailers. Lee will be one of the Presenting Authors at the 2016 Milton Literary Festival in November. During the two day event, which is held in Milton, Georgia, he will be on the author panels and will sign his books. 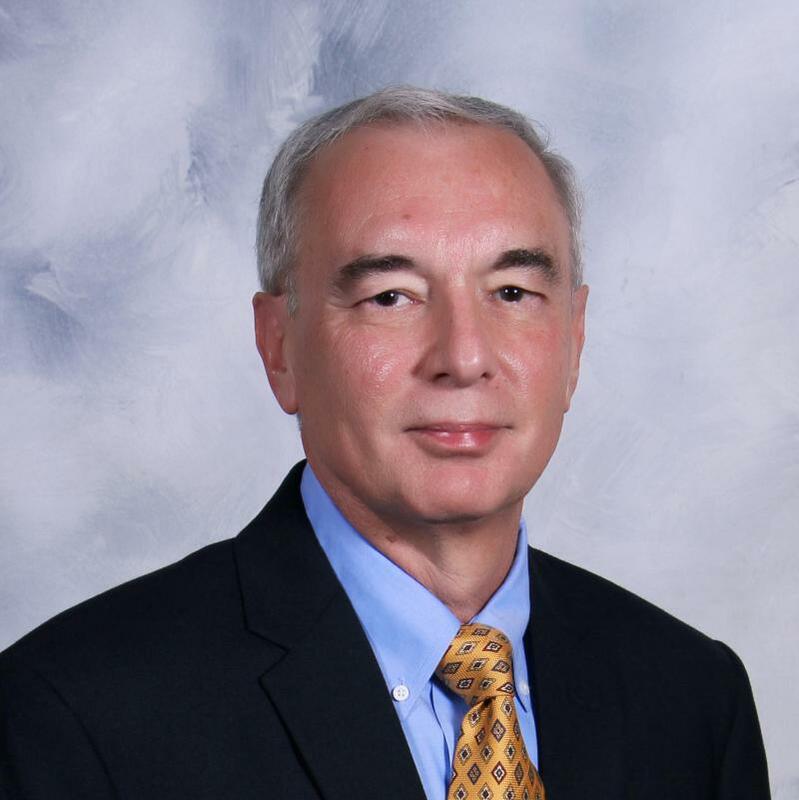 He'll talk about his most recent thriller, SKYFLASH, which earned him a nomination for the 2016 Georgia Author of the Year Award. He'll also talk about his previous thrillers KILLING WEST and The WASHINGTON ULTIMATUM. Lee was nominated in 2016 for the Georgia Author of the Year Award. His novel SKYFLASH was nominated for Best Mystery-Thriller by the Georgia Writers Association. Lee will be teaching his "Marketing for Writers" class on February 18, 2016 from 6:30pm to 8 pm. The class is being held at the offices of Jera Publishing located in Roswell (Atlanta area), Georgia. Writers at any stage of their writing career are welcome to attend. Lee's 11th book, SKYFLASH, is now a featured novel of the International Thriller Writers organization. The ITW is the premier association of thriller writers in the U.S. and internationally. Lee was interviewed recently for Angie's Diary, the Dutch magazine based in Amsterdam. The interview was published this week. Lee thanks Paul Collins for doing the interview. Paul is a film director and an author, with many film credits in his list of accomplishments. You can read the interview at the weblink below. For the fourth year in a row, Lee spoke at the AJC Decatur Book Festival (Atlanta area, Georgia). This event is the largest independent book festival in the United States, and drew an audience of over 80,000 people during the Labor Day Weekend. Appen Media Group, the newspaper chain, just published a good article about Lee's new novel SKYFLASH in their newspapers. You ran read the newspaper article at the weblink below. For the fourth year in a row, Lee will be speaking at the AJC Decatur Book Festival. This event is the largest independent book festival in the United States, and draws audiences of over 80,000 people during the Labor Day Weekend. For those of you attending this year's Festival in the Atlanta, Georgia area, he'll be on the mystery/thrillers authors panel on September 6, 2015, from 12-1 pm. He'll also be signing his books at the Atlanta Writers Club site at the event from 2-3 pm. More details are available at the link below. Lee will be giving his class "How To Write a Successful Novel" on July 15th, 2015 at 6:30 p.m. The class is being hosted by Jera Publishing Company in Roswell (North of Atlanta), Georgia. The topics of the talk include plot and character development, dialogue, synopsis, and many other aspects of writing a book. Reservations required for this class. Email Lee at: LG727@MSN.COM for more details. Lee's 11th novel, SKYFLASH, was published by River Ridge Press in June 2015. This exciting thriller is a new J.T. Ryan novel. The book is now available at Amazon US and at Amazon International websites, in paperback and all ebook versions. Coming soon to Barnes & Noble, Books-A-Million, and other retailers in the U.S. and internationally. Lee's 11th novel, SKYFLASH, will be published in 2015 by River Ridge Press. This is the third novel of the J.T. Ryan series. The book is a sequel to The WASHINGTON ULTIMATUM. Lee had a book signing at Books for Less bookstore (Mall of Georgia location) on December 6, 2014. He signed his latest thriller, KILLING WEST, along with several of his other mysteries, including WASHINGTON ULTIMATUM, BLACKSNOW ZERO, and SIGMA CONSPIRACY. The book signing was a multi-author event, and it included many other noted authors such as Buzz Bernard, Jedwin Smith, Valerie Connors, George Scott, and Michael Karpovage. Appen Media ran a very good article about Lee in their newspapapers. The article talked about his latest book, KILLING WEST, where he introduces series character, Rachel West. Lee was a speaker at the 2014 Decutur Book Festival, which is held every year in Decatur, Georgia. The Decatur Book Festival is the largest reading festival in the United States, with an attendance of over 40,000 people. He was on the Mystery/Thriller Author panel with a group of other writers. After the event, Lee signed his books. This marks the fourth year Lee has been invited to speak at this event. Lee gave a presentation at the Atlanta Writers Club meeting on August 16, 2014. The meeting was held at the auditorium of Georgia Perimeter College in Dunwoody, Georgia. The topic of the talk was "How to Create a Successful Novel." Afterwards he signed books for the audience. Lee's 10th novel, Killing West, was published by River Ridge Press in July 2014. 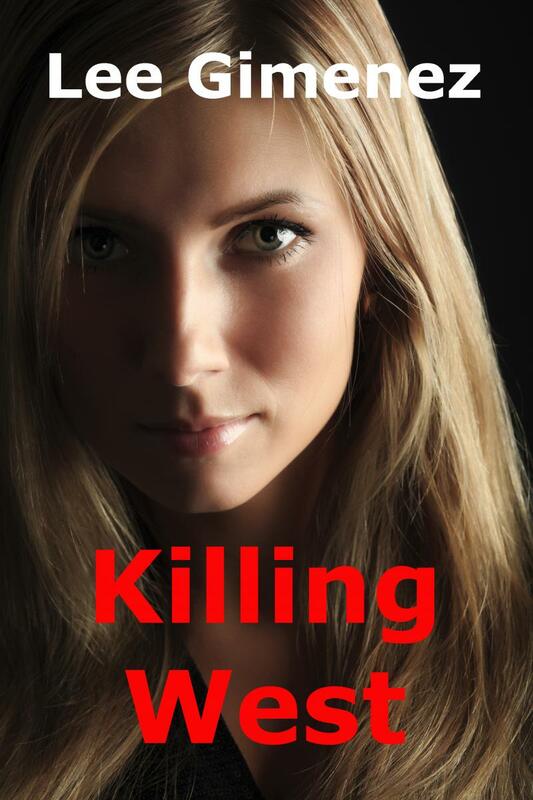 The exciting mystery thriller introduces a new character, Rachel West. See the Killing West tab of this website for more details. Lee will be a featured author at the 2014 AJC Decatur Book Festival, which will be held Aug 29-Aug 31. This festival is the largest reading event in the United States. Held in Decatur (Atlanta), Georgia, the festival features book signings, author readings, panel discussions, an interactive children's area, live music, parades, cooking demonstrations, poetry slams, writing workshops, and more. Lee was a featured author on Dr. Yomi Garnett's VOICEAMERICA radio show on June 19th. Lee will be a guest on the CK Webb radio show on June 30. This marks the second time he'll be on her show - he was on there in March also. This time Lee will talk about his novel, The Sigma Conspiracy. He'll also talk about his next novel, which is coming out later this year. Once the radio show airs, we'll post a link to it. Appen Media Newspapers published a very good article about Lee and his 9th novel, The Sigma Conspiracy. This novel is a prequel of his book The Washington Ultimatum. These two mystery-thrillers feature Lee's series character J.T. Ryan. The article also covered his association with the International Thriller Writers organization, and the techniques he uses while writing. Lee has a new video on YouTube. Check it out at the link below. Lee was a guest on the CK Webb radio show on March 13, 2014. He was interviewed about his books. In particular, he talked about his J.T. Ryan thriller, The Washington Ultimatum. This radio show is broadcast daily, and has over 50,000 listeners. Lee's novel, The Sigma Conspiracy, was selected as a featured book of the International Thriller Writers organization in February 2014.